Tracy Nininger recently moved to Fincastle’s Ardmore Equestrian Center from Georgia. In Georgia, she was the owner and operator of Jump On Over Hunter/Jumper facility, and her riders competed on the local and A-rated circuit (Zone4) with the Georgia Hunter/Jumper Association. 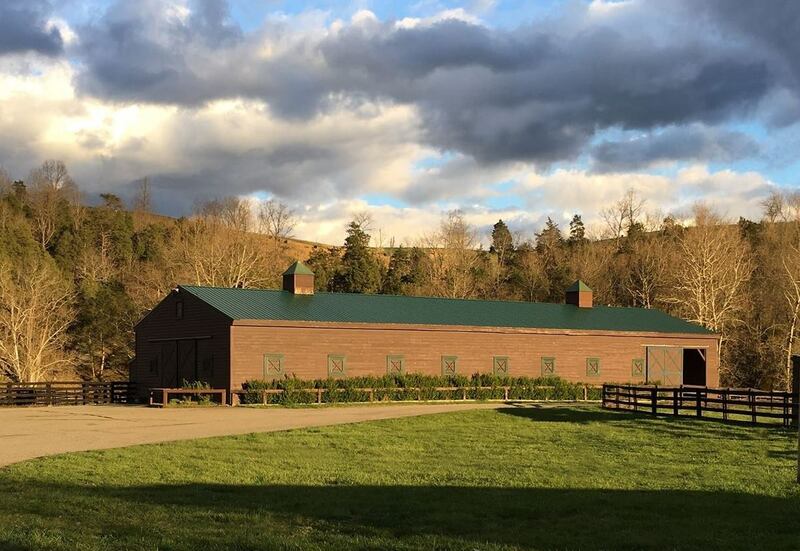 A graduate of Virginia Intermont in Bristol, Virginia, Tracy majored in Horsemanship/Stable Management with a minor in Business. Tell me about your stable/business. What kind of services do you offer? 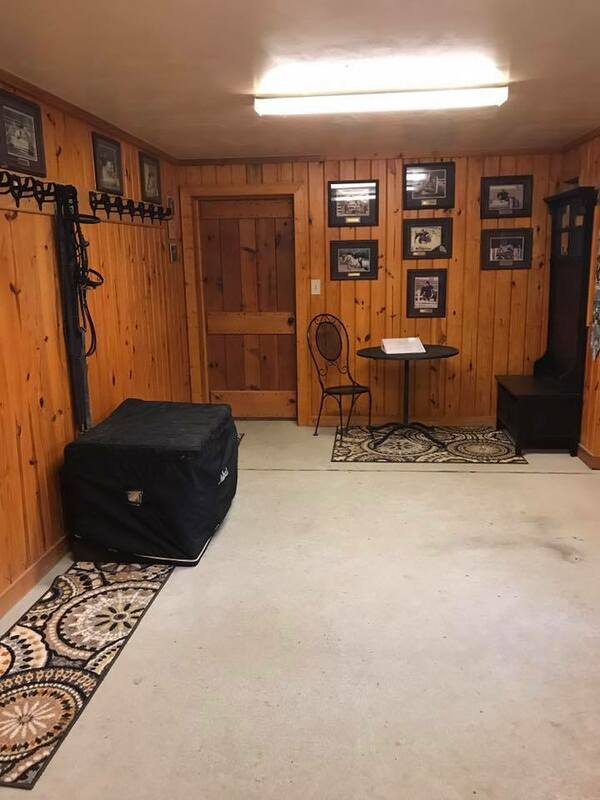 Ardmore Equestrian Center is a full care hunter/jumper equestrian center. We offer a lesson program for the recreational rider as well as the serious competitive rider. 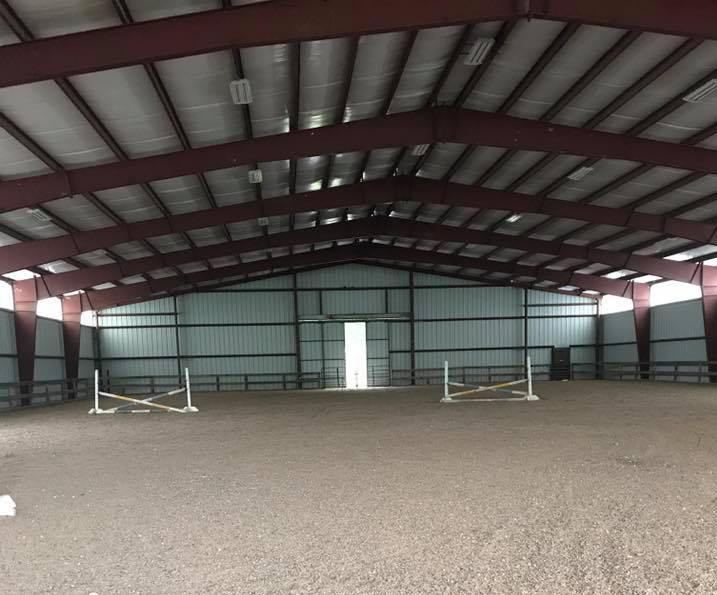 Our facility has a indoor arena that is 100 X 200 so lessons are never canceled due to bad weather or if it is too hot! 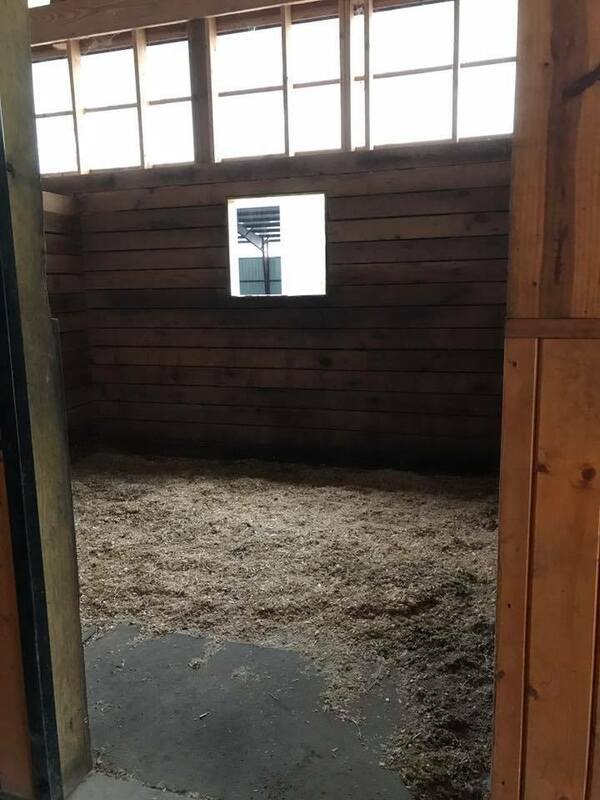 We have over 24 stalls that have matted floors, sliding doors and that are 12 X 12 in size. We offer pasture turnout or paddock turnout. We do not offer pasture boarding. 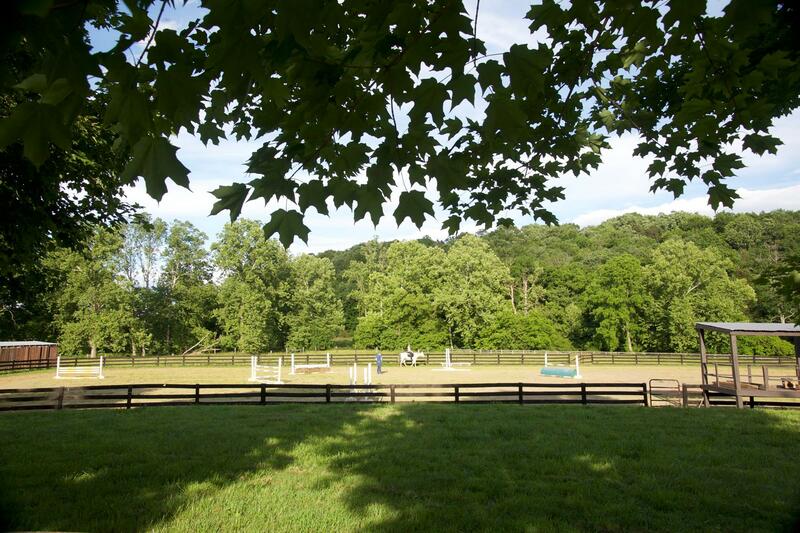 Both of our arenas are lighted and we will offer clinics, schooling shows, summer camps, overnight camps and trail riding. Our farm supports the community’s Botetourt Food Shelter. We currently have two instructors who both have degrees and are certified. When did you get started in horses? What is your riding background? I began riding when I was 7 years old, and it is my passion. You can read my Bio for my background. I have experience in Dressage, Western and Saddleseat. What makes your stable/business different than others in the area? What’s your specialty? What do you take the most pride in? 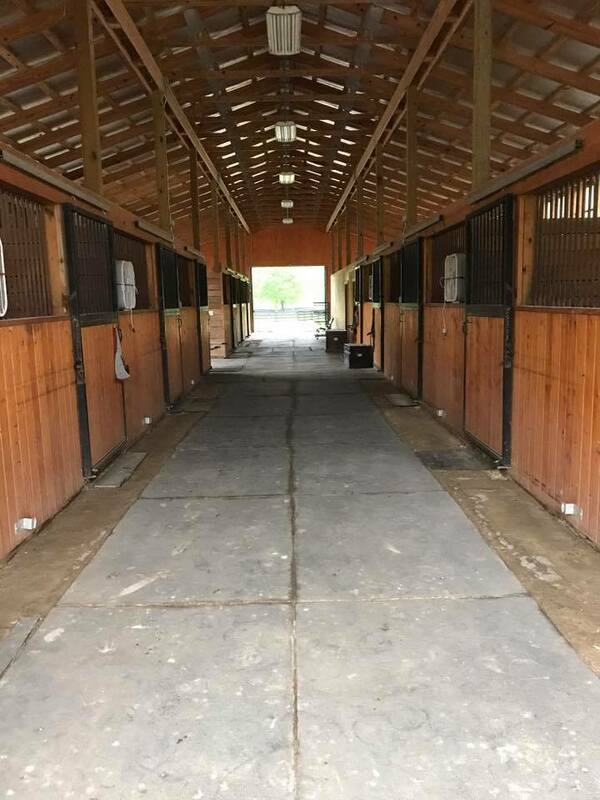 Our facility is different from the other area facilities because of our state of the art facility and care given to the horses and riders. Everyone at Ardmore is qualified to teach and train. Our employees have the degrees and certifications to do the job they were hired for. All the employees at Ardmore have the knowledge and experience to provide a professional, safe atmosphere. We meet the needs of each one of our boarders, lesson students and we strive on excellent quality care. Friendly customer service is demanded from each employee for our customers. I feel strongly that these are the reasons for our success. Can you describe your training/teaching philosophy? What are your favorite breeds/bloodlines? What do you look for when choosing a prospect? My favorite breed of a horse is a thoroughbred/quarter horse cross. However, I really enjoy all breeds as I feel each one is unique and brings different challenges with each breed as they all are different. What I mostly look for when choosing a mount for a rider is the attitude of the horse. Different riders require different attitudes so you really have to match up a rider’s personality with the horse’s personality. A horse enjoys turnout at Ardmore Equestrian Center in Fincastle, Virignia. Who are your riding mentors? How have they influenced your riding? My mentor was FEI Grand Prix rider Miss Barry Lane of Full Cry Farm in Locust Grove, Georgia. Barry reflected hard-work and to never give up. Always work with a positive attitude and to keep things into perspective. I never heard her ever say an unkind word or do an unkind act. She was always professional and surrounded herself with top professional people. She built confidence in riders and brought out the best in people. I miss her tremendously!! My other mentor was Katie Monahan Prudent. Even though I never had the opportunity to ride with her I admired her riding techniques. She had perfect equitation in the jumper ring. She is so graceful to watch in the jumper ring and she made it look so easy and smooth. She is very consistent in her riding and she has great hands. She is like a ballerina in the jumper ring, it is just lovely to watch her. My biggest mentor however, is my big sister. Melody Light. She is a lovely rider and growing up she would work so she could pay for my riding lessons and spent hours teaching me about horses. She is my mentor at heart! What is the best piece of riding advice you were ever given? The best piece of advice that has ever been given to me is to remember that each horse is different and so are people and when you match them up they need to be partners. Don’t just buy any horse for any person. Do you have a favorite horse movie or book? My favorite horse movie is “Secretariat”! I really don’t have a favorite book. What one piece of advice would you give new/young riders? Don’t try to train yourself all by yourself; that’s what trainers are for. Do you learn to play soccer without a soccer coach, a ballerina without an instructor ? If you could try any other riding discipline, what would it be? I am interested in three-gaited natural-tail Saddlebreds. What is the best thing about riding/training in the Roanoke area? Roanoke is my hometown; I grew up here and I love having the mountains to ride in. I like the trail rides and the hills. You don’t have this in Florida. For trainers to respect each other better. Learn from each other. Work with each other better. What is your favorite characteristic in a client/student? I will take a student that may not be very talented but is the hard worker over the talented rider that is lazy. What horse industry/riding trend do you wish would go away and never return? Backyard owners that don’t have any business caring for a horse. What was the biggest surprise about riding as a profession? I really don’t have any big surprises about the horse industry. The industry itself educates many people, and following top professionals creates success. It’s the people that mess it up. What is your favorite local horse show or event? Why? The Roanoke Valley Horse Show. It was my first A-Show, I think I was 12 years old. I loved the Salem Colesium and the all-breed show classes held at night. Tell us about the best horse you’ve ever ridden. A Thoroughbred mare I rode in the jumpers. Her show name was Clearly Magic, and she was a horse no one wanted and she was given to me. She was fast, could turn and jump and loved it. So much fun to ride! If you could ride any famous horse from history, who would you ride? A horse called Snowman. He started the jumpers! Look him up! If you could spend the day riding with any horseman, living or dead, who would it be? Why? There are so many great horseman but I think I would like to spend the day with Rodney Jenkins. He definitely could ride, but as a little girl following him around the Roanoke Valley Horse Show, I loved his laid-back demeanor. He could spot a really good horse, too!!! Tell us about your first horse. My first horse was a little black small pony named Star. He was my best friend. I spent many hours trail riding him, and literally riding him all over the Poages Mill area of Roanoke, Virginia.